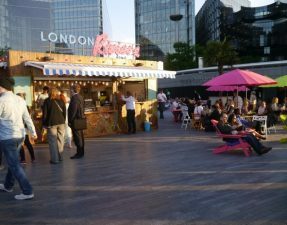 I realise it’s been a while since I’ve posted a restaurant review, although it doesn’t feel that long to me. 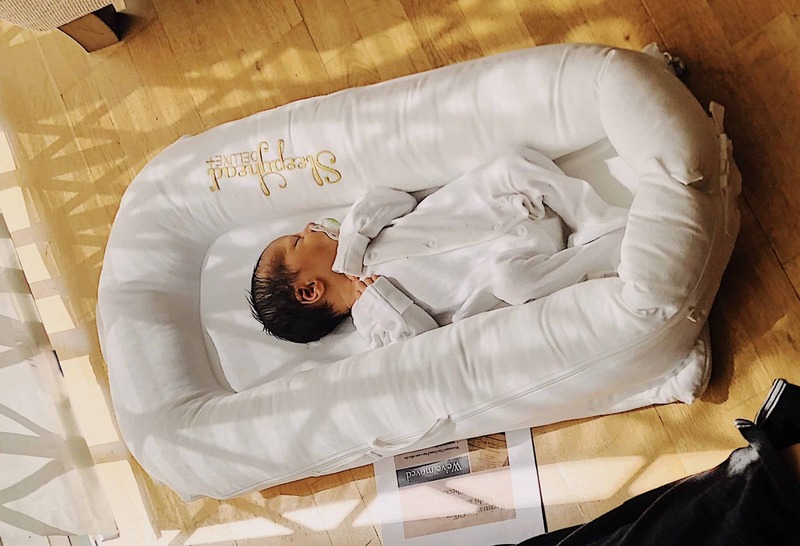 You see, I had a baby a couple of months ago for those of you who didn’t know, and it feels like time has just blurred together in my baby brain. 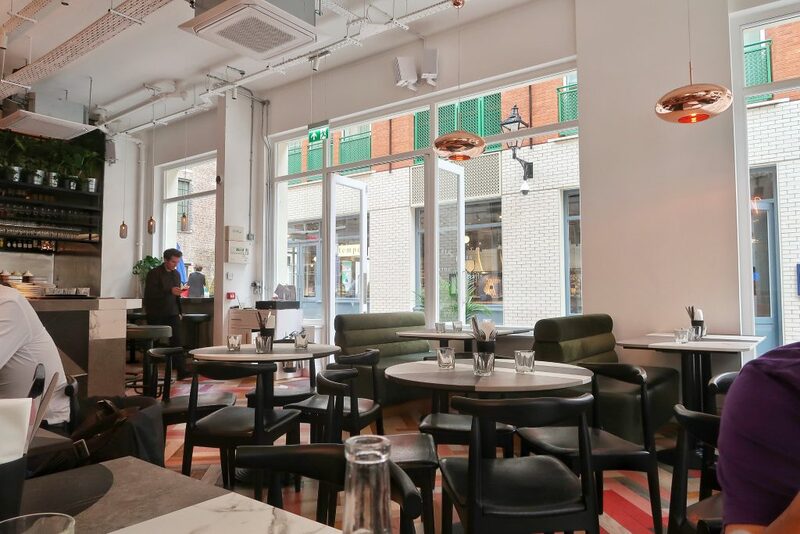 But, I would never leave you guys so I’m bringing you guys a spanking new restaurant review from a place that opened just yesterday – Maison Bab. 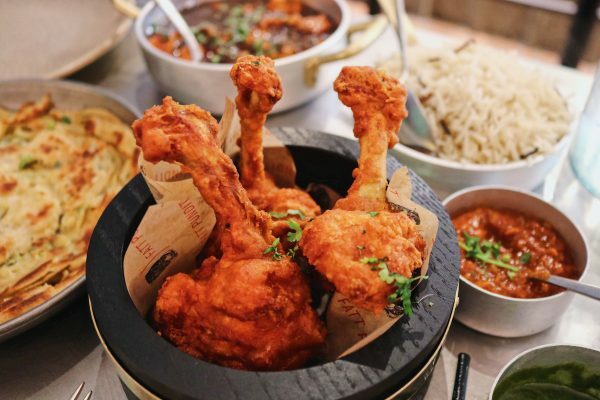 Maison Bab, sister of Le Bab in Kingly Court, specialises in fancy kebabs. 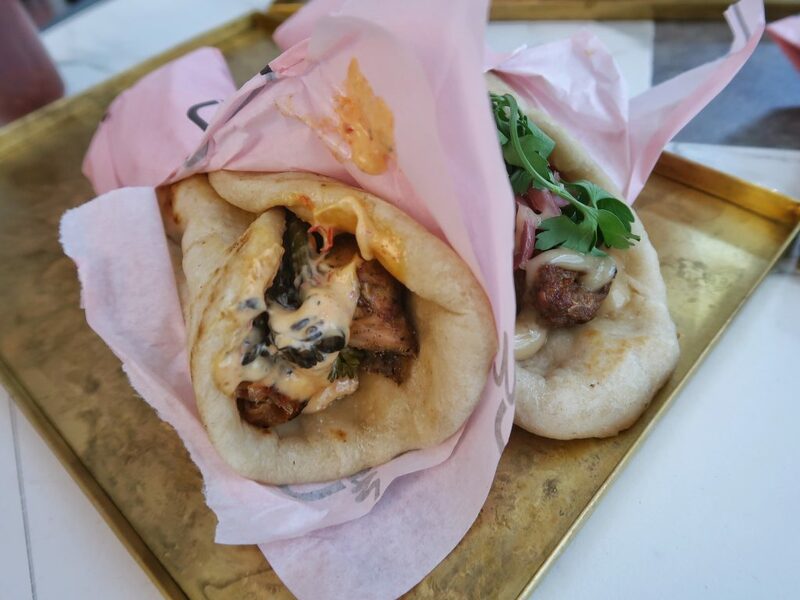 These aren’t your usual dirty shawarma, but made using fresh and high quality ingredients – exciting stuff. So exciting that I headed down there with a friend on their second day of opening and made the most of their soft launch opening. 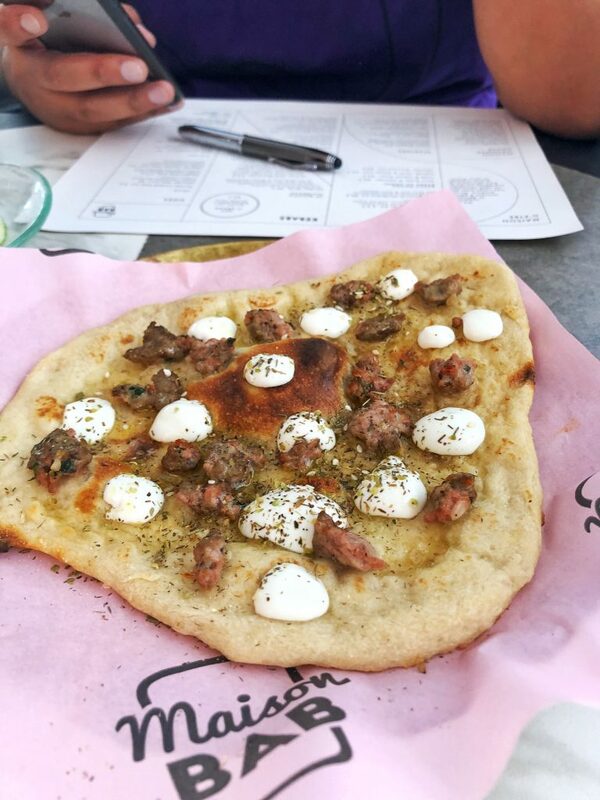 Flatbread, made in house, topped with creamy labneh blobs, wonderfully, juicy little lamb pieces, and zaatar seasoning. Unfortunately, the flatbread was quite tough and we had to rip it apart with force. The chicken shish was the best shawarma of the three. It packed a punch of flavours and textures in each bite; from the crispy chicken to the smoky, tangy broccoli to the creamy sauce, this shawarma was a delight to eat. 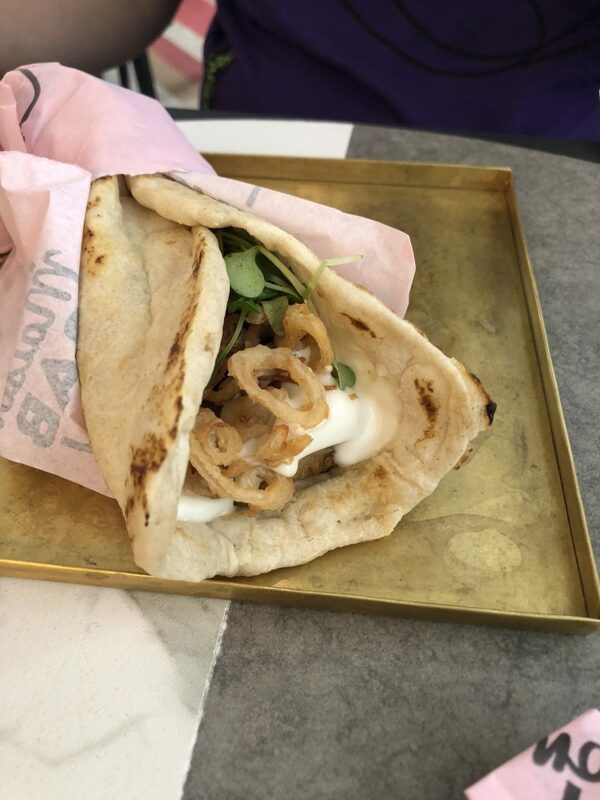 The lamb adana paled in comparison, and whilst the meat was the star of the show (insanely good quality), the wrap itself needed some excitement asides from the pickled onions. 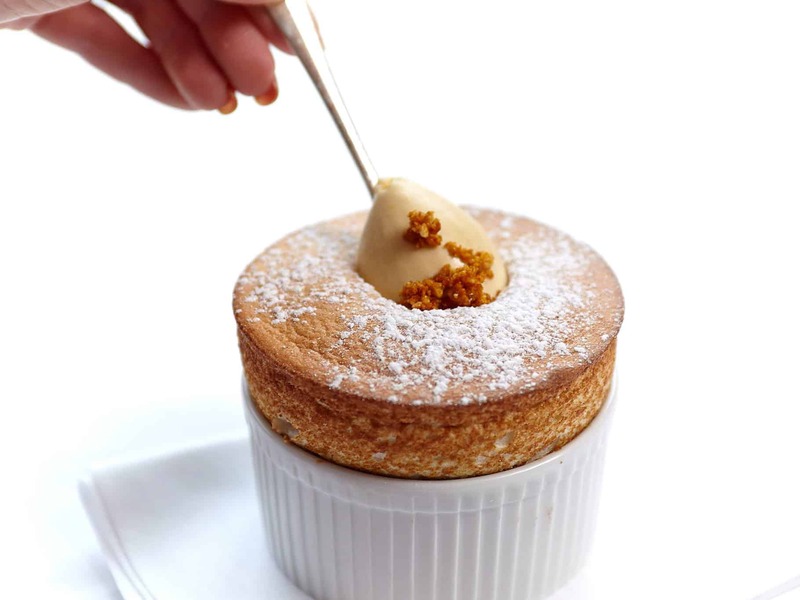 The bread used was fantastic – slightly toasted but soft enough to wrap around the fillings and managed to maintain its’ structure throughout the meal. The second best shawarma was this celeriac shawarma made using miso-marinated celeriac, cute little fried pickled shallot rings, garlic sauce, and Cornish leaves. The celeriac had a slight tang undertone from the miso and was cooked till soft, yet did not become mushy. 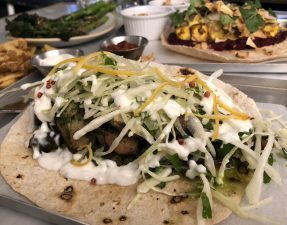 The crispy shallots alongside the garlic sauce added a fantastic twang to the root vegetable, and I was pleasantly surprised by this vegetarian wrap. 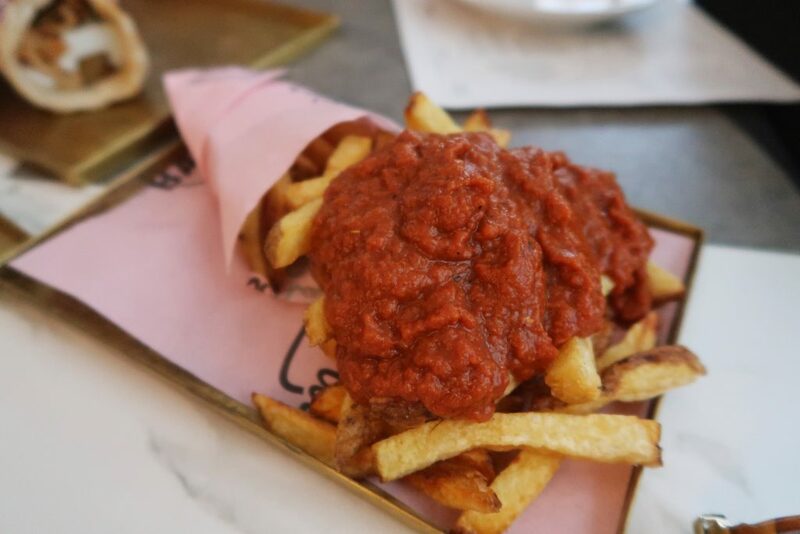 Crispy, double-cooked fries topped with iskender sauce. Not any iskender sauce, this is the “Maison Iskender”, a tomato based sauce seasoned with chilli flakes, garlic, and salt and pepper – saucyyy. 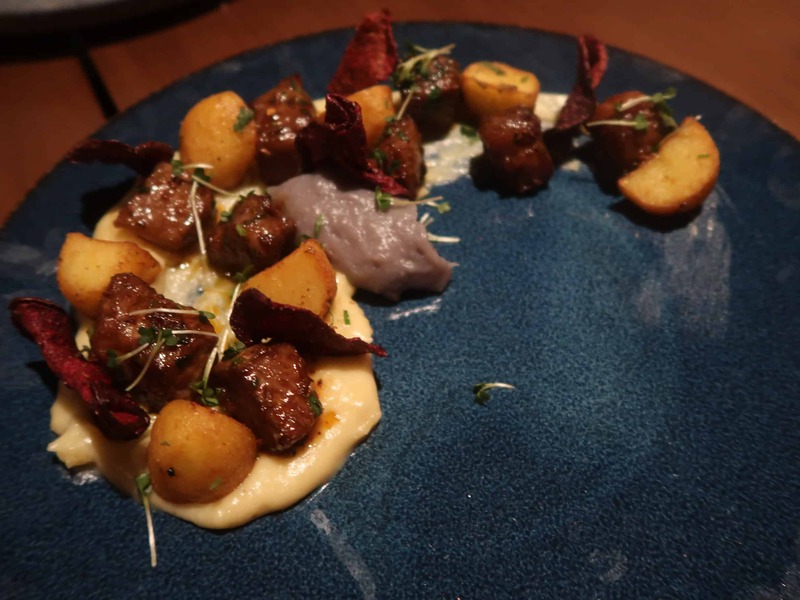 Whilst I drooled over the prospect of eating a doner beignet (a doner doughnut, in essence) and the iskender fondue fries, I was saddened to find that the beignet is made using beef fat and the cheese fondue contains alcohol. 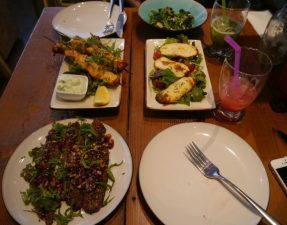 The total bill amounted to £40.50 for two, including drinks and service, so £20.25 each HOWEVER, we made the most of their 50% off soft launch and snagged our meal for £10.25 each instead! 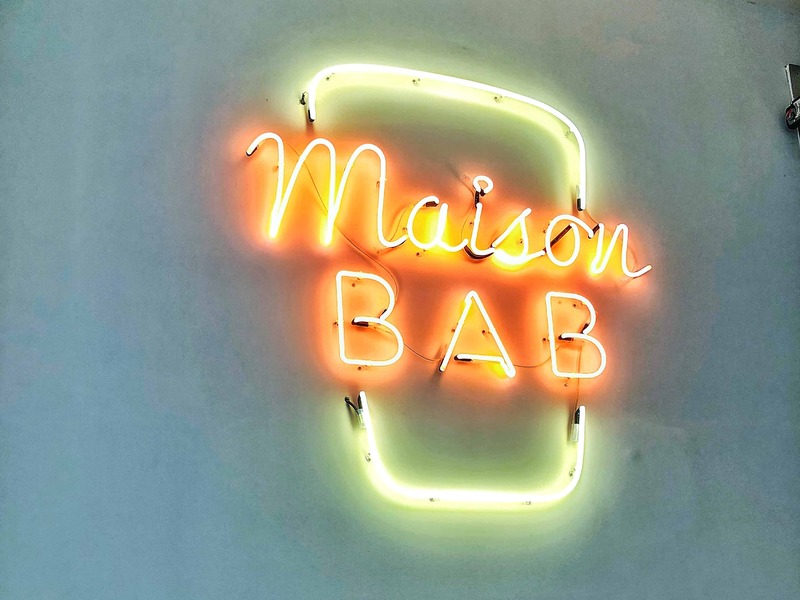 Maison Bab has just opened, literally as of a few days ago, and although has some fine tuning to do, it was good food at affordable prices. 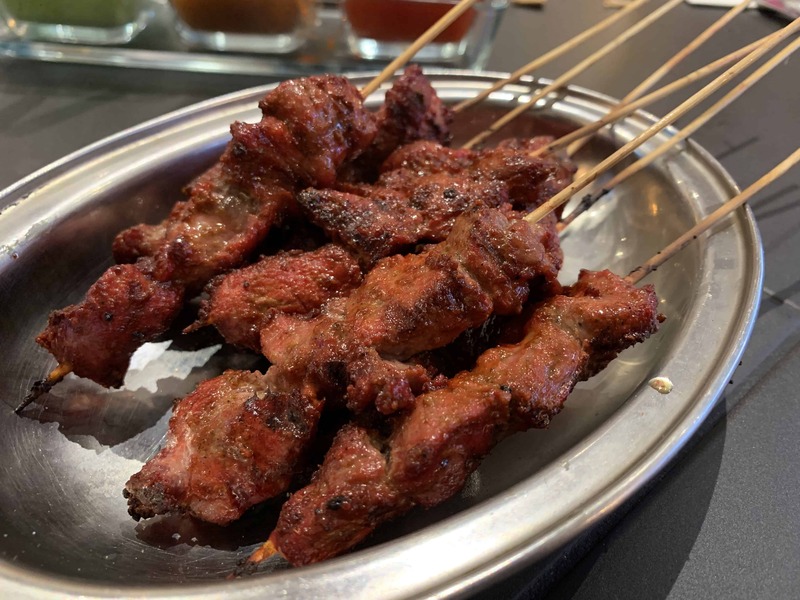 I say give these kebabs with a twist a go! Halal status on the lamb and chicken has been verified by the restaurant with certificates. There is no cross contamination in the kitchen. Not a gluten free friendly restaurant.